When wias the separation legally concluded? 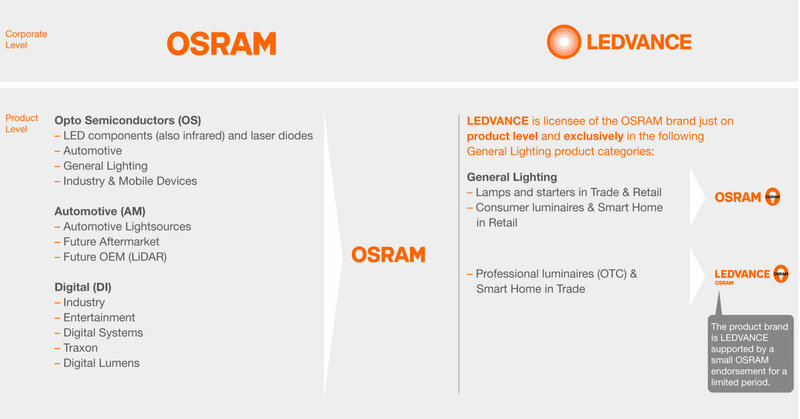 Why has OSRAM sold its lamp division? The lighting industry finds itself in a continuous state of change. In order to be able to respond to this change and remain competitive in the long term, businesses like OSRAM have to adapt to this. Through its independence, LEDVANCE can gain more streamlined structures and creative freedom which enables the new company to react quicker to changing market conditions and individual customer requirements.